The Association of Consumer Vehicle Lessors consists of the nation’s leading vehicle lessors. This web site is meant to give you, the consumer, a general understanding of vehicle leasing. The web site provides objective information on vehicle leasing including comparisons to buying a vehicle. The site offers a summary of the features and components of each method of acquiring a vehicle. In the text, “you” refers to consumers and lessees. “Lessor” is the person who leases you the vehicle. Click “lessor” for more information on this term. The information in this web site describing lease disclosures applies only to leases signed on or after January 1, 1998 when revised federal Regulation M requirements became effective. In addition to vehicle leasing, ACVL members also offer traditional vehicle retail installment financing. The ACVL has provided leasing information to the Federal Reserve Board (FRB) that has been incorporated into the FRB’s consumer publications and web site materials. Because of the close working relationship between the FRB and the ACVL, there are many similarities between the leasing information found on each group’s web site. 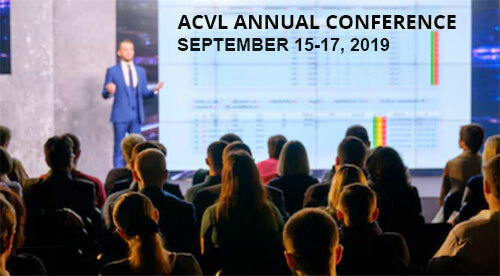 The ACVL Annual Conference is the premier event for major consumer vehicle leasing companies. The 2018 held in September was a great success. Information about the 2019 conference will be posted in Spring 2019. Committees drill down into the critical current challenges in all of the major areas of concern: tax, operations, legal and residual value risk. 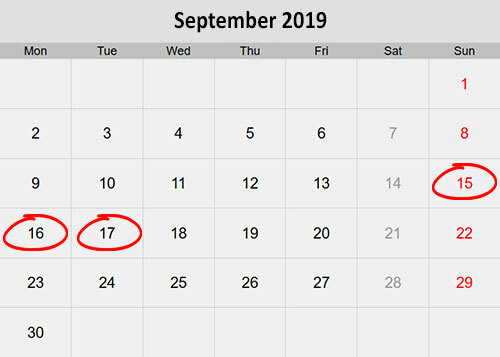 Nationally renowned speakers provide up-to-the minute analysis of leasing issues and forecasts of changes that will impact the business for everyone. Don’t miss this chance to socialize and learn from your colleagues in the business at this once a year special event. There is no charge for attendance for members or any approved sponsor, advisor or speaker. The information does not replace the specific terms and requirements of your lease agreement. Your lease agreement is a binding legal document and may differ in some significant way from the information contained in this site. The glossary definitions are not legal definitions. While we have tried to make this information accurate and current, legal requirements and leasing practices are constantly changing. This website’s goal is to reference applicable federal law and industry best practices. However, you may experience variations based on state/local law and/or dealer practice. The ACVL has not endorsed any site that may choose to link to this site. If you have reached this ACVL site through another site, please be aware that ACVL has not investigated and does not express any opinion about the business practices or information disseminated by other web sites. ACVL reserves the right to control the content and distribution of all materials developed by the ACVL or its designated providers, and may at its sole discretion deny any company, publication, web site or other entity the right to use, edit, link to, or otherwise make use of these materials.